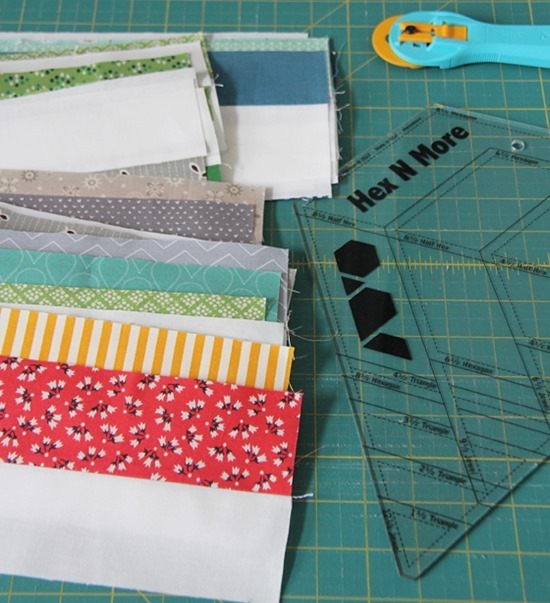 Hoopla is made from yardage or pre-cut strips, and is actually much easier than it looks to put together. I used a bright mix of prints from my stash for this one…it’s very “spring-y”. You can use the template provided, or a triangle ruler or Hex N’ More ruler like I did to make cutting quick. 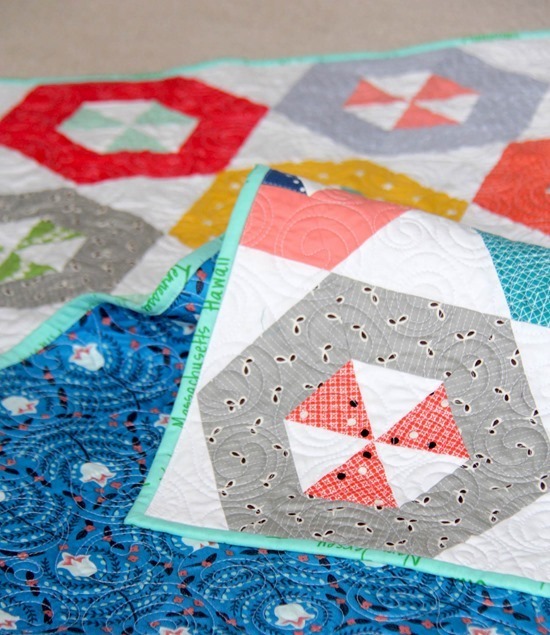 Kathy did the amazing quilting…one of my favorite quilting designs (thank you Kathy you’re the best!). I used this pretty Juliana Horner print for the backing…I love that blue color. The pattern for Hoopla is in my shop. 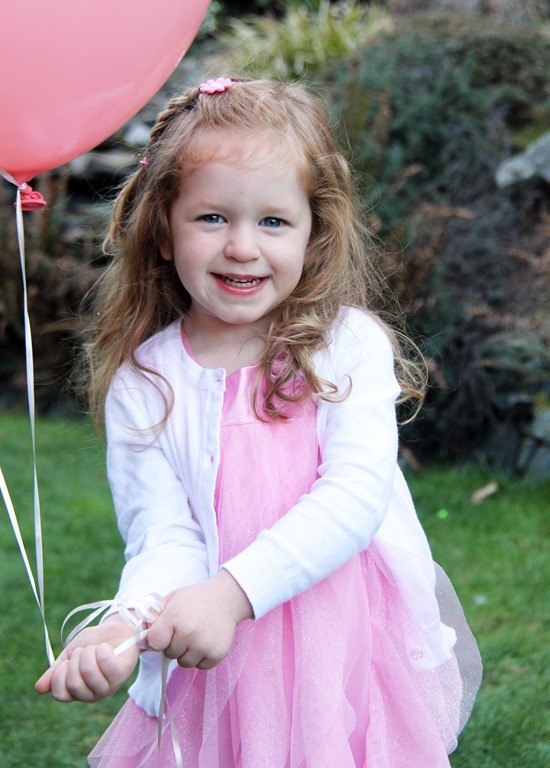 Thank you for the birthday wishes for Sophie…there is an EXPLOSION of pink and glitter downstairs…and one very happy 3 year old tucked in bed. One birthday down this month…2 more to go! I love it! 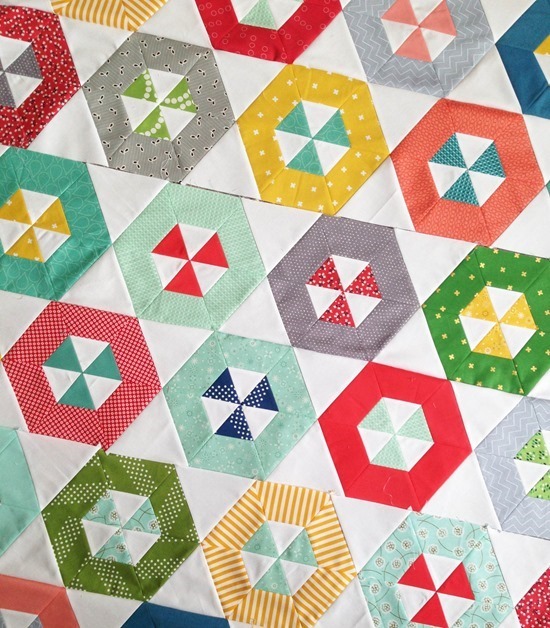 There is just nothing like the bright fabrics against the white and your perfectly pieced yummy blocks are shown off! A very nice quilt! 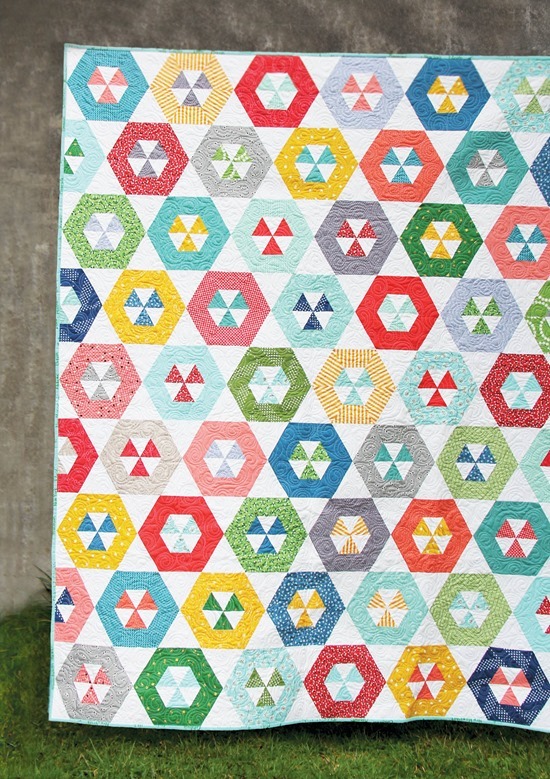 I like the Hex'N More Ruler so much – just used it for a hexagon-quilt. 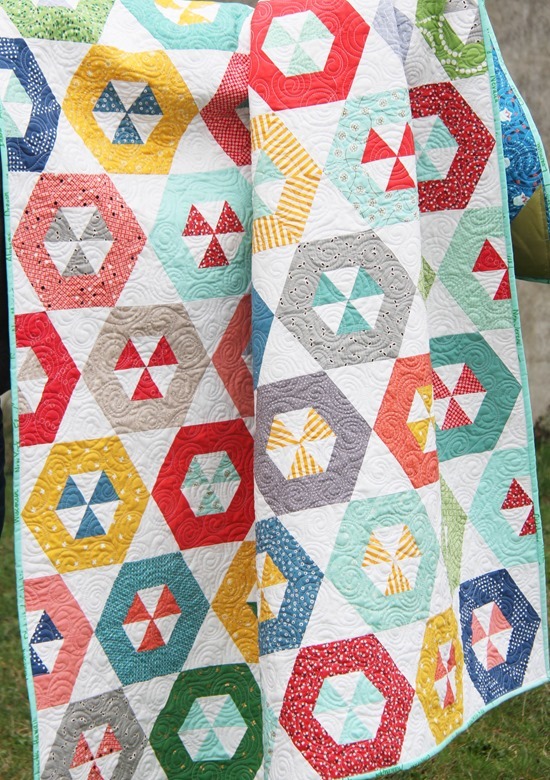 I love this quilt, they remind me of radiation symbols, and I can think of some awesome ideas with that! Belated happy Birthday to Sophie!! I had fun in your shop too! Thanks for the discount! My grandson turns three next month. Amazing!! Oh I just love the fresh spring colours! Happy birthday to your big three year old too. Another beautiful quilt! I recently bought the Hex and More ruler and can't wait to start playing, thanks for the inspiration! The quilt is awesome. I have that hex and more ruler. Hmmm maybe I can find some time to make this pattern. The birthday girl is adorable. Sophie is soooooo pretty Allison! awesome quilt. I've never used a ruler like that yet. Sophie is adorable.